Six weeks ago, Ravinder Singh visited the refugee camps in northern Iraq and saw for himself the desperate plight of the refugees. Many approached him in desperation once they came to know that he was a British Sikh, and pleaded for help. Not only has the British army acknowledged (at last) and but even the British mainstream media has woken up to that historical fact. No longer are the Sikhs lost in generalised labels like “Indians” or “Asians”. They stand tall as “Sikhs”. "The overt racism by the officials went against all logic and reason even when it came to the law. Every unethical and immoral trick was used to circumvent the law simply to frustrate the entry of the Sikhs into Canada." 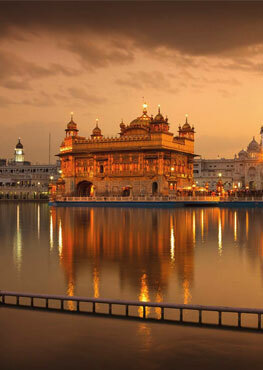 Visiting Darbar Sahib is a mixed experience. If the great contribution of Khalsa towards the independence of the people of the Indian subcontinent is to be made known to the Indian people and the world, then the true story of Rawalsar must be memorialised and told. Challenges to Sikh Identity in the West: More than just a question of "mistaken identity"
Today, Sikhs may not be a geographical nation but they have national characteristics and aspirations. In the Mandla case, the House of Lords afforded protection to Sikhs under the Race Relations law as an ethnic group; the same sort of protection afforded to other ethnic groups and nationalities. Today, there is fear and desperation in their empty eyes. They have no livelihood and no work; and their growing children receive no education. Their daughters do not have much hope of finding suitable matches; and they are not certain where the next meal would come from. However, while Sikh martyrs are remembered in gurdwaras, there have been few initiatives which tell the world about them. One such outstanding initiative is the annual “Portraits of Courage” lecture hosted by Anglo-Sikh Heritage Trail (ASHT) in association with the Imperial War Museum. The decision making tradition of Sarbat Khalsa was evolved during the first half of the 18th Century. It is likely to be revived and further developed through seminars like those arranged by the Sikh Research Institute.